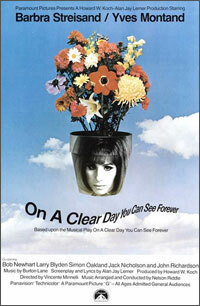 Daisy Gamble (Barbra Streisand), an unusual woman who hears phones before they ring, and does wonders with her flowers, wants to quit smoking, to please her finacee, Warren. She goes to a doctor of hypnosis to do it. But once she's under, her doctor finds out that she can regress into past lives and different personalities, and he finds himself falling in love with one of them. 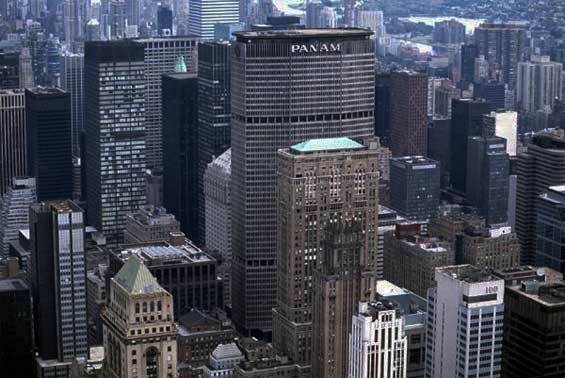 The Pan Am Building was the largest commercial office building in the world when it opened on March 7, 1963. 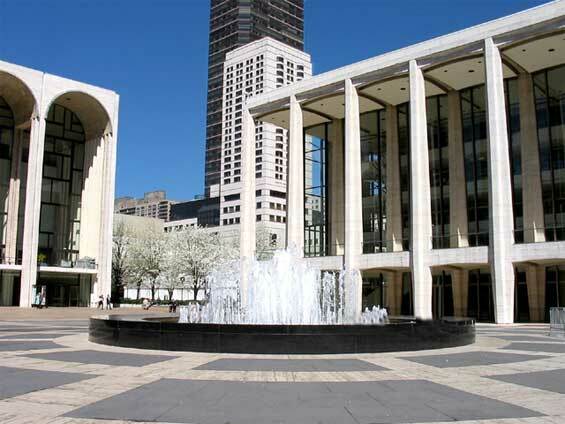 It is a recognizable part of the Manhattan skyline and one of the fifty tallest buildings in the United States. Pan American World Airways was the building's owner for many years. Its logotype was depicted on a sign that was placed on the north and south faces and its globe logo was depicted on a sign that was placed on the east and west faces. The Pan Am building was the last tall tower erected in New York City before laws were enacted that prevented placing corporate logos and names on the tops of buildings. Pan Am originally had 15 floors in the Pan Am Building. Metropolitan Life Insurance Company bought the Pan Am Building from Pan Am in 1981; Pan Am's headquarters remained in the building. In 1991 Pan Am had 4 floors left; during that year Pan Am moved its headquarters to Miami. Shortly afterwards the airline ceased operations. On Thursday September 3, 1992, MetLife announced that it would remove Pan Am signage from the building. 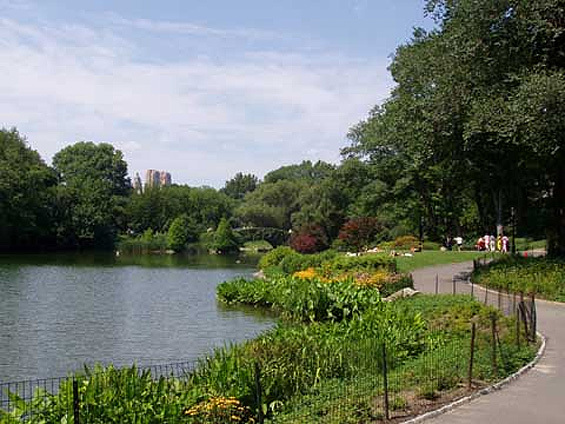 Robert G. Schwartz, the chairman, chief executive, and president of MetLife, said that the company decided to remove the Pan Am sign since Pan Am ceased operations. 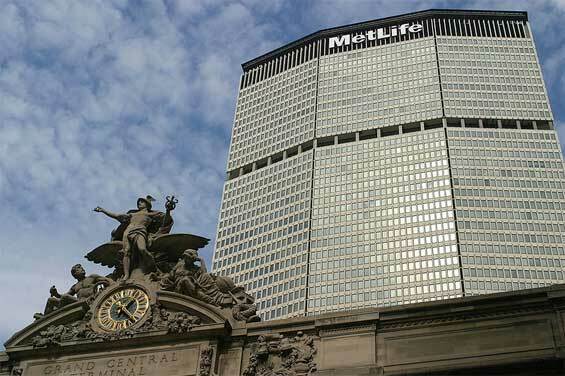 At the time MetLife was headquartered in the Metropolitan Life Insurance Company Tower. 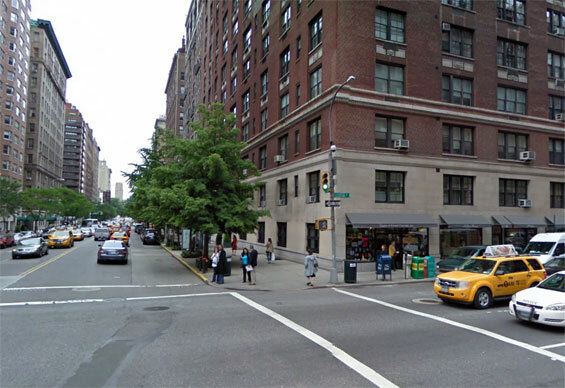 Lexington Avenue and East 72nd Street, Manhattan.